Who else knows what a Police Officer needs better than a Police Officer himself? That’s how PolicePal was founded. A team of Texas Police Officers got together and created a multifaceted tool that has never been seen before. For the first time ever, Police Officers can have access to an iPhone application that not only identifies over 20,000 pills, but we’ve removed all the medical jargon that is commonly found on pill identifying apps. We’ve gone a step further and done something quite remarkable – we’ve eliminated the painful process of manually searching line-by-line through Texas Penalty Groups and other laws. Simply type in a pill imprint and BOOM! In a matter of seconds, a pill can be identified, along with a recommended criminal charge for unlawful possession. One of the best features of PolicePal is the ability to save favorite pills and laws. Officers can save pills that are commonly abused or laws that are rarely used and hard to find. 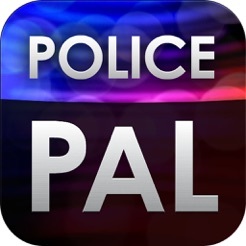 PolicePal allows Officers to customize their app to assist them quickly and when they need it most! Remember to keep a valid yearly subscription to continue receiving immediate updates on both pharmaceutical and criminal law databases! - Your subscription will expire 365 days after your purchase. 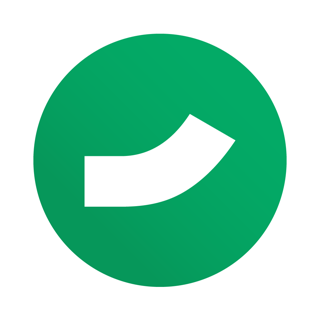 - Your subscription will automatically renew unless you disable the auto-renew at least 24-hours before the end of the current subscription period. Your subscription will auto-renew 24-hours prior to the end of the current period for whichever level of access you initially purchased. You may manage the auto-renew for your subscription by going to your Account Settings anytime after purchase. - Any unused portion of a free trial period, if offered, will be forfeited when you purchase a subscription to PolicePal. The app is free to download but that is the only thing that is free. You can access zero information without paying. Waste of a download as there are many other apps that will give you basic drug info for free and only charge you for the detailed information. Anyone who would pay for an app without even being able to try its basics functions is sure to be disappointed. They will end up with something that does not work for their needs and be out their money. 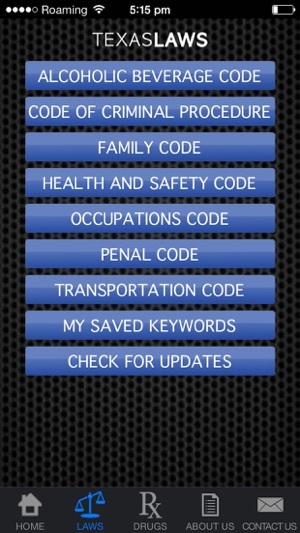 As mentioned on the AppStore, access to the Penal Code is free, but access to all other laws and the drug side is available with a reasonable yearly subscription. PolicePal is built with reliable databases that are not free for us to use, especially the pharmaceutical database. So for that reason, along with other operating costs, full access to PolicePal does cost money. 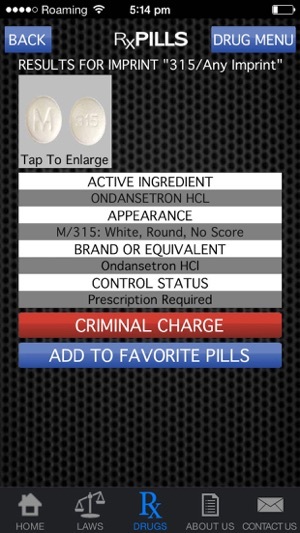 Also our pill identifier cross references the DEA schedules and the Texas Penalty Groups in order to provide users with the proper charge for illegal possession of any given drug. That feature, I doubt, is available with other references you mentioned. 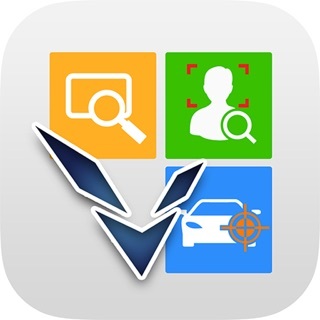 Great App for Texas Cops! This app is well worth the money! 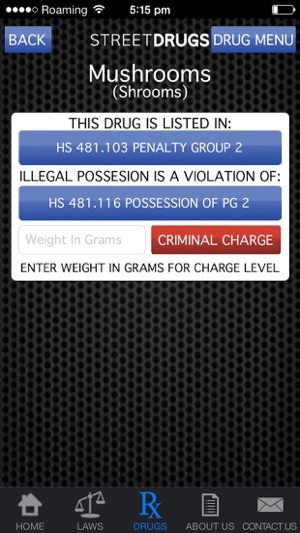 I’ve never run into a pill that the app wasn’t able to identify and locate the respective penalty group. 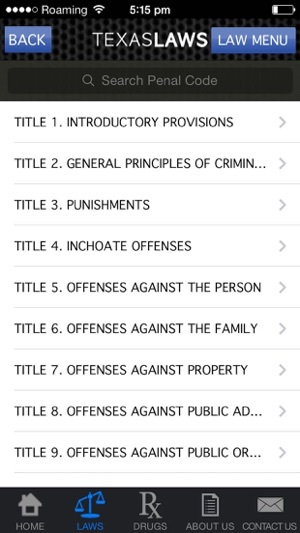 The bookmark feature is great too for hard to find laws! I bought this app and subscribed to get full access. Up until a few days ago it was working perfectly fine. 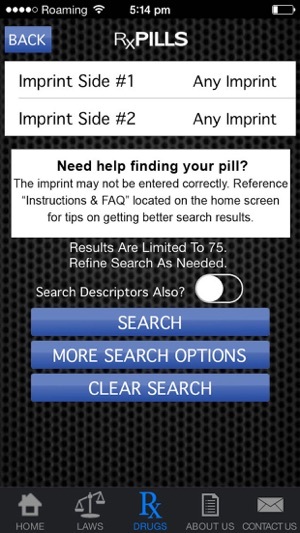 However now any time I attempt to utilize the drug finder it automatically closes the app. Once this issue has been resolved I will rate 5 stars. Hi I can help you resolve this issue. My apologies for any inconvenience this may have caused you. 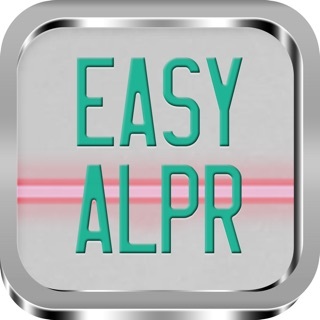 Please try completely deleting PolicePal from your phone and reinstalling from the App Store. After you reinstall click over to the drug side. At that point you should get a pop up saying you have to purchase a subscription. Use the “Restore Previous Purchase” button. Afterward, try searching for a pill and let me know if this reinstall works for you.